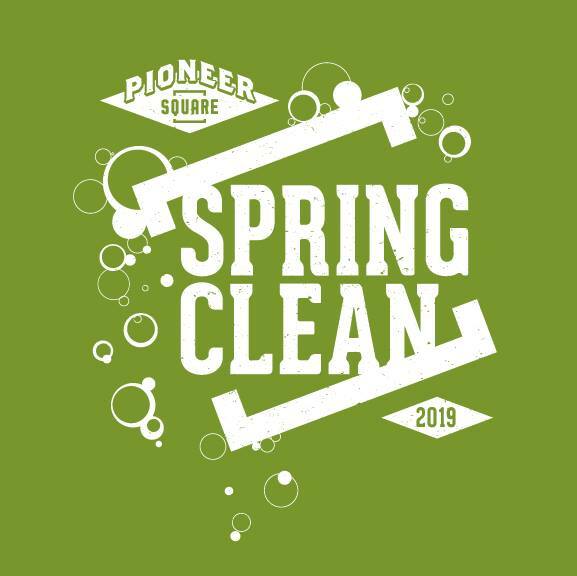 Join us for Pioneer Square’s Annual Spring Clean! Volunteers come to Pioneer Square to remove graffiti, pick up litter, weed tree wells, stencil storm drains, mulch street medians, and plant pallet gardens for the neighborhood. The Spring Clean is part of our ongoing mission to better Pioneer Square through advocacy, programming, marketing, and community action. 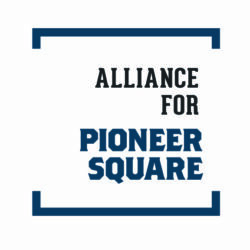 Learn more about us at AllianceForPioneerSquare.org and stay up to date on the neighborhood at PioneerSquare.org. Check out concepts designs for Jackson Hub! 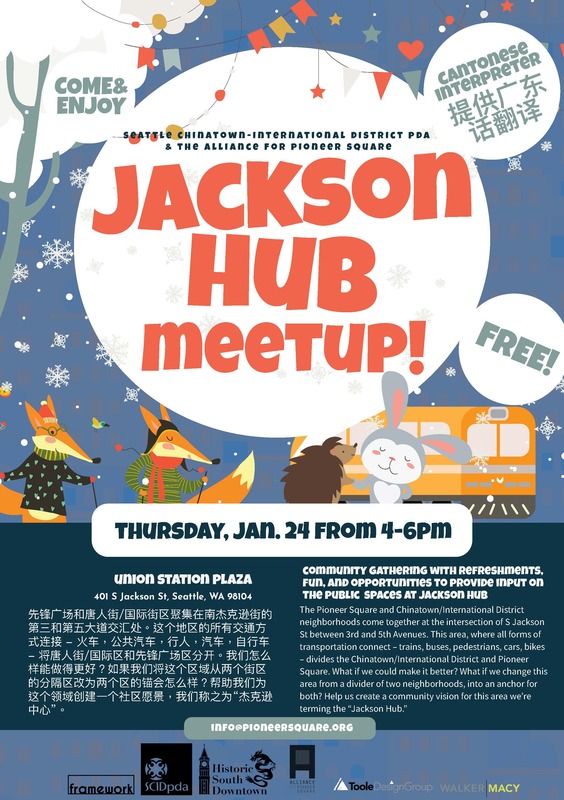 The Alliance for Pioneer Square, SCIDpda, and Historic South Downtown are partnering to explore improvements to the public realm in the Jackson Hub area. The project adds to existing work from the Pioneer Square Parks and Gateways Project and builds off of the South Jackson Street Connections Report. The Pioneer Square and Chinatown/International District neighborhoods come together at the intersection of S Jackson St between 3rd and 5th avenues. This area serves as one of the busiest and most vital transportation hubs in the city. The adjacent open spaces and pedestrian connections in this busy corridor lack pedestrian amenities and essentially cut off both neighborhoods from each other, and other major destinations (waterfront, stadium district and downtown). To better connect these communities, the neighborhoods are reclaiming this area through a holistic approach to public space and pedestrian improvements. 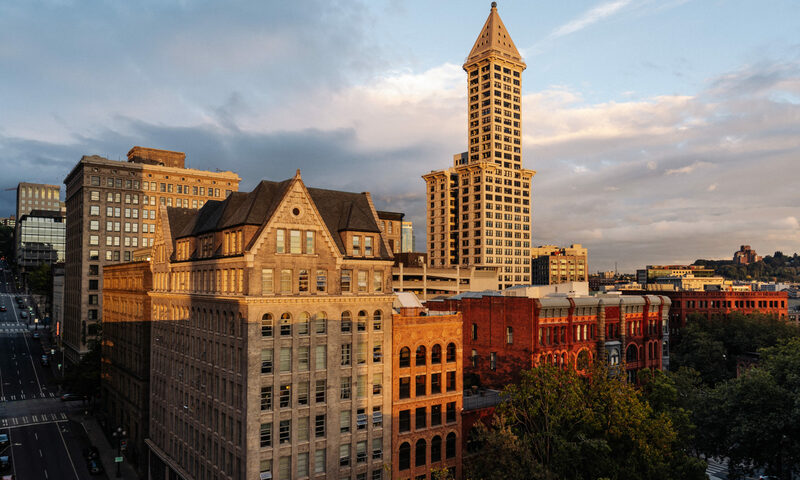 The official guide to all the great places to shop, dine, be inspired, and have fun in the Pioneer Square neighborhood – Seattle, Washington. Published by the Alliance for Pioneer Square. 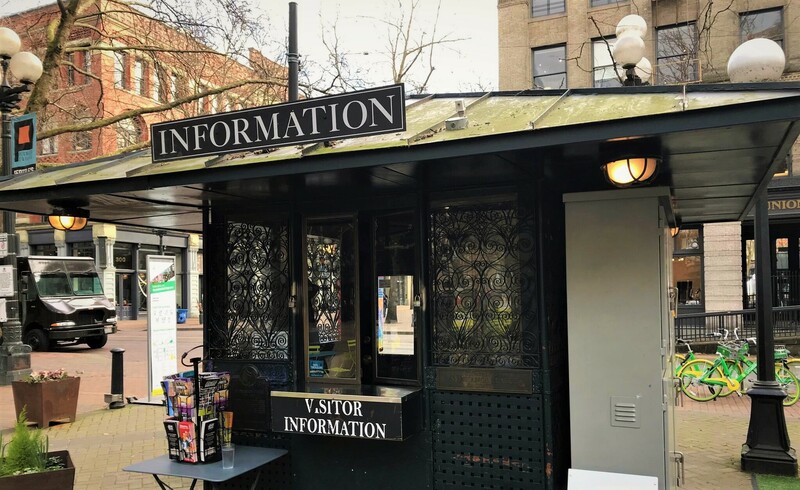 Thanks to a Preservation Special Projects grant from 4Culture, the historic visitor information kiosk in Occidental Park will soon be receiving a thorough structural assessment! This is the first step toward restoring the kiosk and relocating it to a new home in Pioneer Park. Its relocation will make room for a new Pavilion and expanded concierge booth in Occidental Park. The kiosk, which started life as a pre-1900s elevator cab, is staffed by Park Ambassadors daily. Although its beauty and historic value are still evident, it is in disrepair internally and externally. Happily, 4Culture’s monetary support has provided us with the means to hire a contractor to carry out important assessment work slated to begin this summer. During the assessment, blueprints of the structure will be created and data about its structural integrity will be gathered. The assessment will give us the information we need to make an informed decision about how to best carry out the next steps toward removing, restoring, and relocating the kiosk without damaging it in the process. The assessment project is a priority at this time because of our ongoing work as a member of the Urban Parks Activation Partnership, a public-private collaboration involving the Downtown Seattle Association, Metropolitan Improvement District, Seattle Parks and Recreation, Alliance for Pioneer Square, Friends of Waterfront Seattle, and Seattle Parks Foundation. The Partnership is well on the path to place a new Pavilion and expanded concierge booth that would replace the existing kiosk. The new structure will be more comfortable for attendants and better equipped to serve an increasing number of park users. It is necessary that the old kiosk is relocated out of the park in order to make room for this upcoming development. After it is restored, the hope is to ultimately relocate the historic kiosk to Pioneer Park. Currently, Pioneer Park hosts a small, temporary information cart only staffed on fair weather days. The historic kiosk will serve to expand park programming and staffing opportunities at Pioneer Park. The restored and relocated historic kiosk will be more inviting and interesting for visitors and will allow Park Ambassadors to staff the area more frequently. Relocating the restored kiosk has the potential to kick off revitalization in Pioneer Park similar to Occidental Park’s renaissance. A big thank-you from us to 4Culture for making this work possible! We look forward to these upcoming projects that will help make the parks in Pioneer Square even more welcoming, beautiful, and engaging places.